Ergon Energy is a government-owned electricity distributor and retailer, servicing homes, businesses and farms across regional Queensland. Unlike the rest of eastern Australia, customers connected with the Ergon Energy network do not have the option to pick their electricity retailer – Ergon Energy is the only option. In this review, Canstar Blue takes a close look at Ergon Energy. 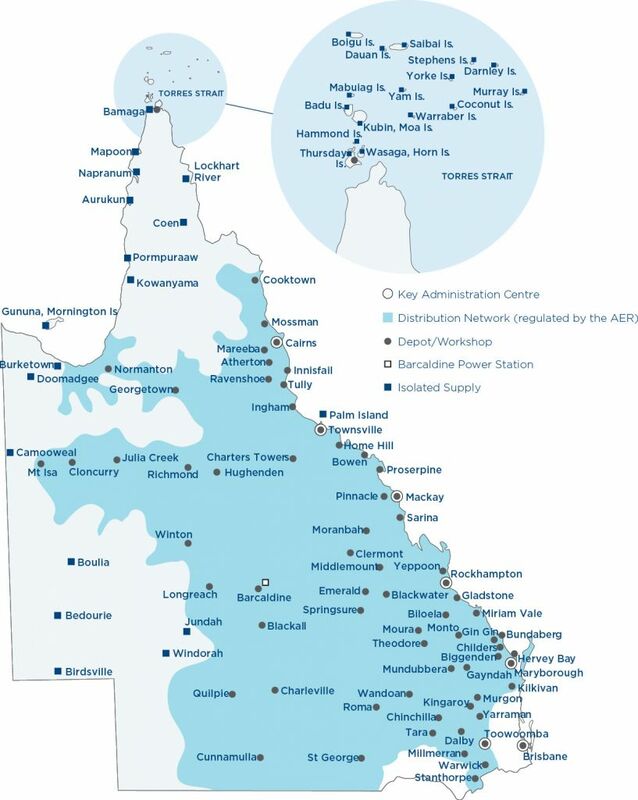 We see where Ergon Energy operates and what it provides regional Queenslanders. Am I on the Ergon Energy network? As the map of Queensland below shows, Ergon Energy essentially covers all areas in Queensland aside from the south-east, which is supplied by the Energex network. The distribution area also doesn’t cover large parts of the isolated far west and north. Do I have any choice of retailer other than Ergon? If you live in the blue part of the map above, then Ergon Energy is your only choice of retailer for grid electricity. If you’re on the border of the blue-shaded area and aren’t sure who your distributor is, then try using Canstar Blue’s price comparison tool. If our database produces a result for your postcode or suburb, then that means you’re on the Energex network and can compare and choose your electricity retailer. 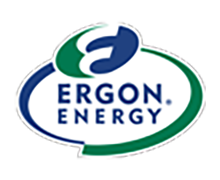 What does Ergon Energy offer? Having no choice of retailer might make you concerned that you’re getting ripped off, but fortunately that doesn’t quite seem to be the case with Ergon Energy. Ergon Energy’s electricity prices are comparable to those on the competitive Energex network, plus there are tighter regulations on Ergon Energy as to when and how it can adjust your electricity rates. Tariff 11 (General Supply Tariff): Customers pay a flat rate for all electricity usage regardless of the time or quantity of electricity consumed. There is also an added daily ‘supply charge’. Tariff 12A (Time of Use Tariff): During the summer months (December to February), a different electricity usage rate is charged at peak periods (3pm to 9:30pm weekdays) and off peak (all other times). The peak period usage rate is about 3 times higher than off-peak, so customers on this rate should minimise their peak electricity usage. There is also a daily supply charge. Read more about time of use tariffs here. Tariff 14 (Seasonal Demand Tariff): Customers pay for what they use at a flat rate throughout the year, plus receive demand charge that’s based on the average demand for electricity on your four highest demand days each month. The demand charge varies in summer and non-summer months. Read more about demand tariffs here. Tariffs 31 and 33 (Economy Tariff): These are secondary tariffs that are often referred to as ‘controlled load tariffs’. They are designed to apply to large individual appliances such as hot water systems and heat slabs, rather than the whole house. Economy tariffs charge very low rates for electricity, however supply is limited to only a few hours per day. Tariff 33 supplies electricity for 18 hours per day, while tariff 31 supplies electricity for only 8 hours per day, but has a much lower rate. Feed-in Tariff: You don’t pay Ergon on this tariff – Ergon pays you. Customers with solar panels receive 10.102 cents for each kilowatt of electricity that their solar panels export to the energy grid. Read more about feed-in tariffs here. Rural and business tariffs: Ergon Energy has three tariffs specialised for farmers – Tariff 62, 65 and 66. It also has a series of other tariffs for businesses that are similar to the ones we’ve already listed. For more information, visit the Ergon Energy website. Canstar Blue always encourages consumers to shop around for a great electricity deal, however as we’ve discussed, that’s unfortunately not possible for Ergon Energy customers. But that’s not to say there aren’t other ways you can save! Canstar Blue has plenty of great guides on how to reduce electricity usage and lower your bills. Check it out using the link below.